Drag the ardor.html fil into this online tool and look at the checksum. 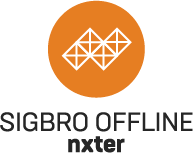 SIGBRO Offline will open in a new browser window. Print your paper wallet. ALWAYS keep the private part of it safe and offline. Do not lose it! 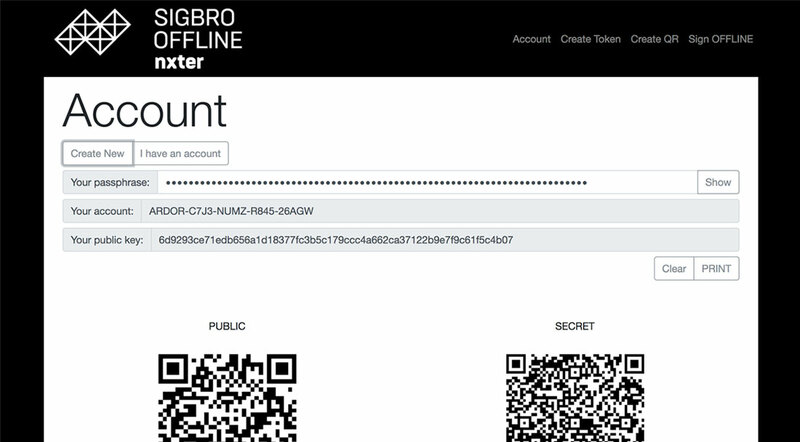 Send an outgoing transaction with SIGBRO Offline OR include your public key in a transaction to the account. Sign in with your account ID, not your passphrase. Prepare the transaction you want to make. 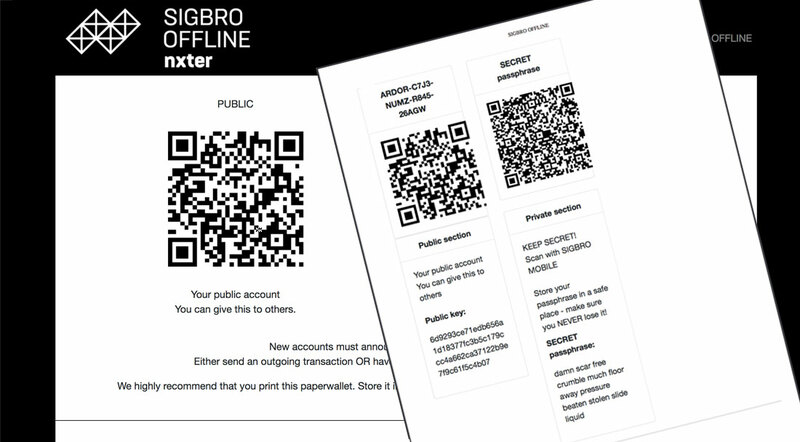 NOTE that you can not use SIGBRO Offline to send Prunable Messages! For this, you need the SIGBRO App. Instead of signing the transaction with your passphrase, click 'Advanced' and tick "Do not Broadcast" and "Do not Sign". Save the Unsigned Transaction Bytes, for example on a USB stick. Open SIGBRO Offline on a device that is not connected to the internet. Click ‘CHECK’ to see your transaction details – verify them! Once verified → Click ’SIGN’. Save your SIGNED Transaction Bytes, for example on a USB stick. On an ONLINE device, open https://nxter.org/wallet. 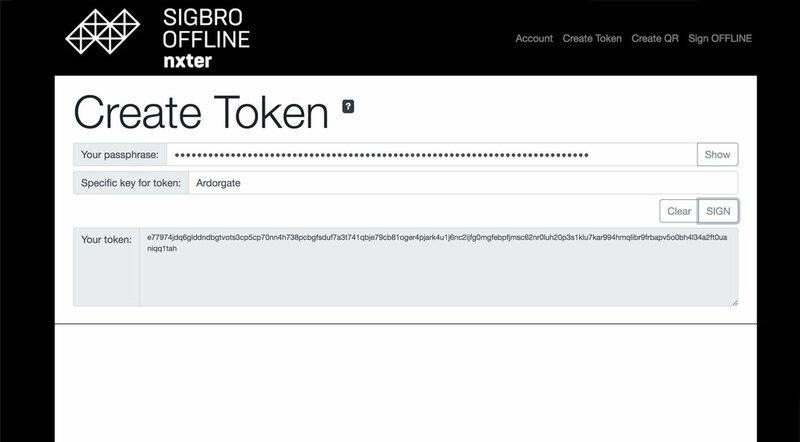 Paste your SIGNED Transaction Bytes into the form field and click ‘BROADCAST’. 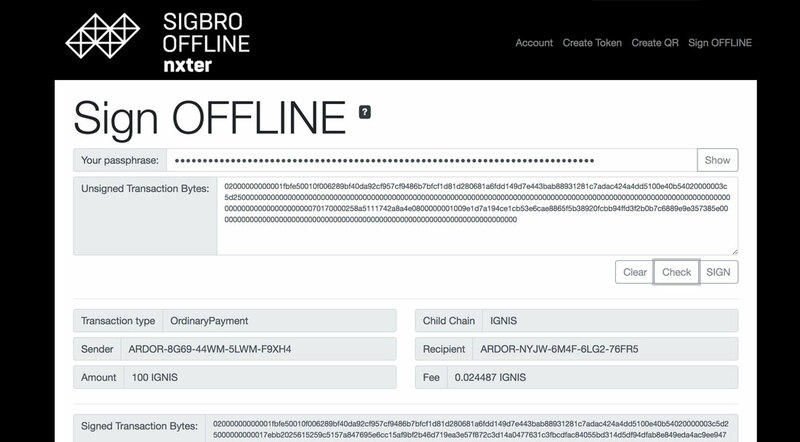 NOTE that to make transactions on any Ardor child chain, like Ignis, AEUR, or Bitswift; select ARDOR. Paste in the account ID. 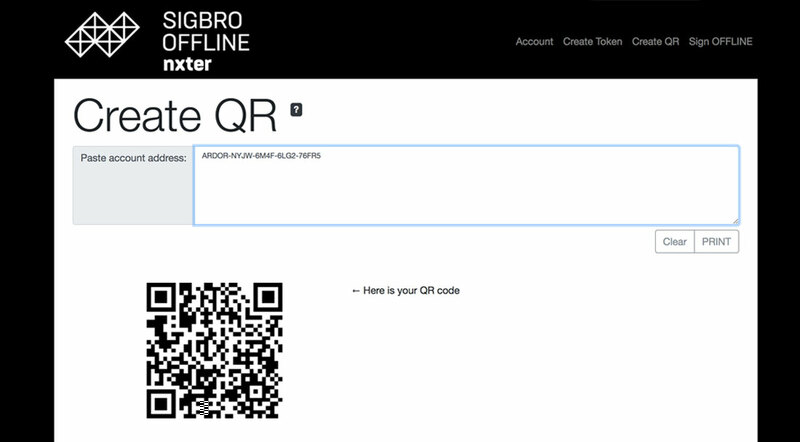 The QR code will automatically be generated.